In a manner of speaking, if the Gulf region catches cold, Indian economy will shiver. That alone makes the latest tidings from the region rather ominous from an Indian perspective. The announcement last Wednesday that Saudi Arabia, the United Arab Emirates and Bahrain have withdrawn their ambassadors in Doha, Qatar, is an unprecedented step in the 33-year old history of the Gulf Cooperation Council [GCC], but it is probably a surprising escalation of latent tensions that didn’t exactly come out of the blue. But India needs to be on guard because the protagonists in the Gulf feud are all its close partners. Millions of Indians live in that region. 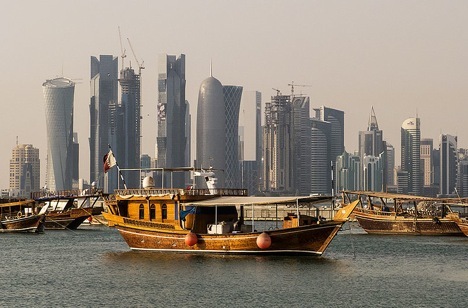 Put simply, Saudi Arabia, the UAE and Bahrain have alleged that Qatar has been interfering in their internal affairs and should mend its ways and Doha refuses to pay heed. Indeed, this becomes much more than a spat or a mere diplomatic rift. According to reports from the region, the Saudi decision followed a foreign-minister level GCC meeting in Kuwait in mid-February, which was attended by the emir of Qatar, during which foreign minister Saud al-Faisal made direct accusation that Qatar was posing threat to the security of Saudi Arabia and Egypt by backing the Muslim Brotherhood and that the Brothers have been allowed to operate out of Doha with impunity. It appears Faisal did some plain-speaking at the Kuwait meet to the effect that the Saudi reprisal step would begin with the recall of ambassador, but would expand to include in the downstream closure of land borders with Qatar, denial of airspace for Qatari airliners, and the eventual expulsion of Qatar from the GCC and the Arab League. The Saudi-Qatari relationship has a complicated history for the past century, characterized by intermittent periods of tensions. Thus, Qatar’s ties with Syria, Iran and the resistance movements in Palestine and Lebanon were as much an independent foreign policy foray signifying vast ambitions of becoming a regional heavyweight as a strategic defiance of the Saudi claim to be the sole regional leader of the Gulf Arabs. In sum, Qatar has no intentions to bend to the Saudi demands to abandon its support for the Brotherhood, which espouses the cause of the democratic transformation of the Middle East under its leadership. Clearly, the Saudi-Qatari feud is only likely to escalate in the immediate future. Saudi Arabia is already upset over its waning influence in the region and Qatar’s openness to modernity, Western education and political and ideological pragmatism is resented in Riyadh. To cap it all, Al Jazeera remains a thorn in the Saudi (and Bahraini side), while Qatar blithely maintains that it is an independent television channel outside governmental control. In a broader perspective, all this bears a surreal look. The fact of the matter is that Qatar is a close ally of the West and the Brothers are in the Americans’ ‘good books’, to put it mildly, as a legitimate entity in the political landscape of the Middle East. It is inconceivable that Washington is unaware that from a city where the US’ Central Command is headquartered, the Brothers are openly discrediting the Saudi regime and eroding its popular support, especially among the educated middle class, and hoping to undermine the monarchies. In that case, prima facie, the rift amounts to a huge setback to US’ diplomacy with its Gulf allies, because it virtually undermines the GCC, which is a crucial vehicle of American geo-strategy. That seems implausible, given the huge implications for the US’ regional strategies in the Gulf region. On the other hand, the fact that all this is happening in the shadow of the Arab Spring gives an entirely different dimension to the Saudi move against Qatar and the latter’s cavalier response. Quite obviously, Saudi Arabia and its allies in the GCC are becoming very nervous that Qatar may be used to introduce the kind of instability in the Persian Gulf region that North Africa and Egypt are going through. Interestingly, the Saudis acted when hardly three weeks remain for President Barack Obama’s visit to Riyadh.